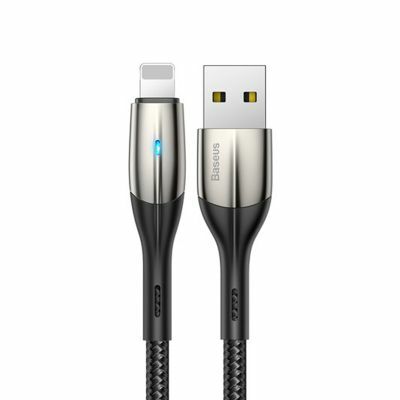 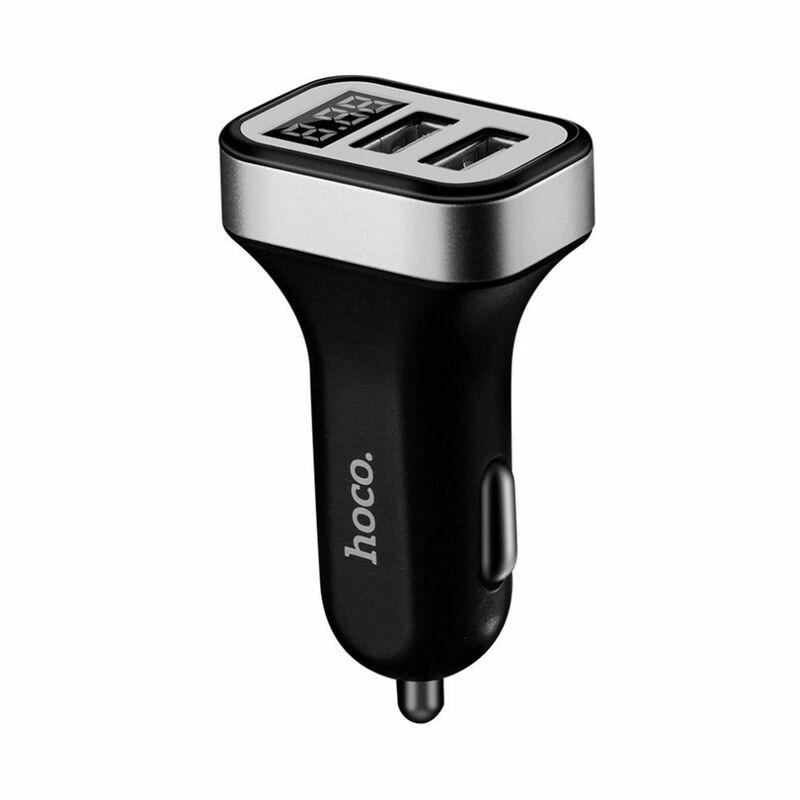 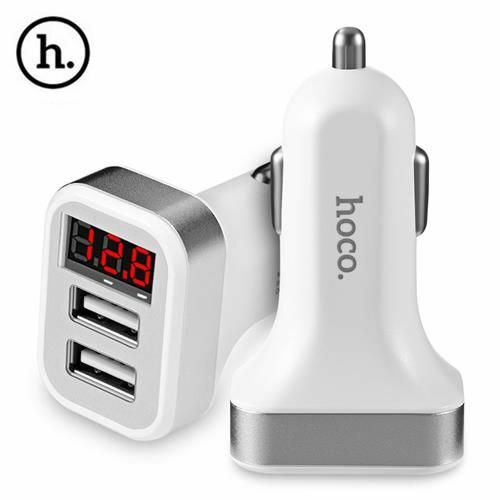 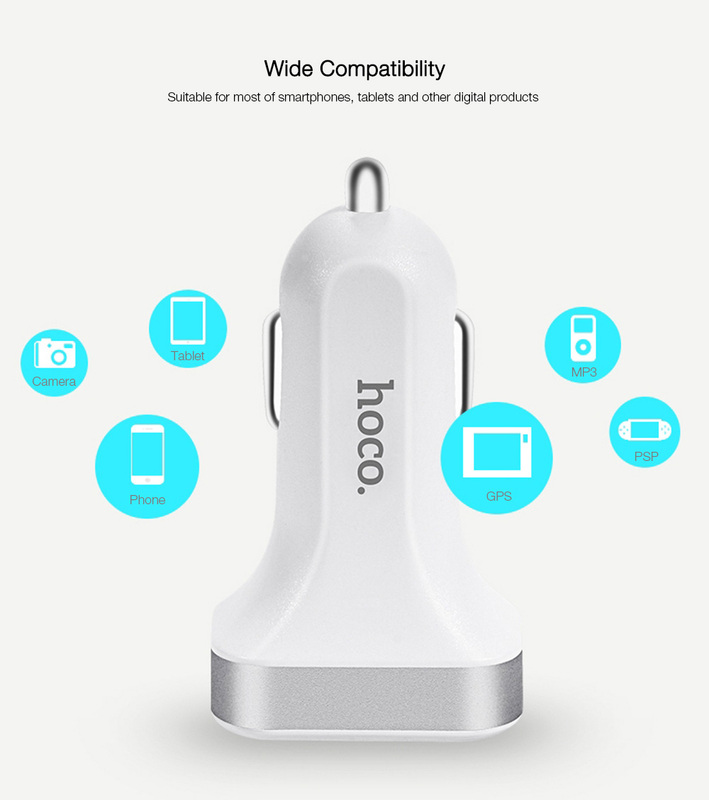 Hoco z3 car charger is equipped with 2 pieces of USB port allows you to charge 2 devices at once. 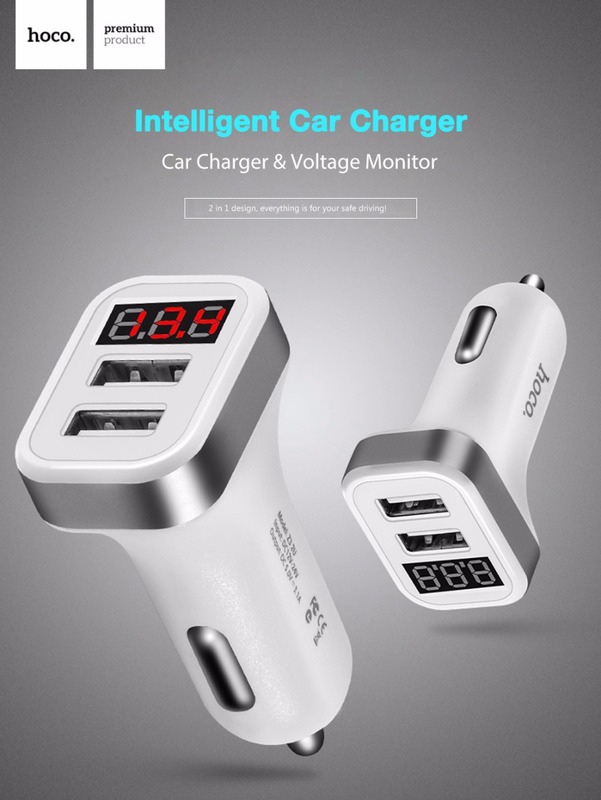 It also provides a voltage meter to measure the voltage in your car plug so you can check the circumstances of your car battery easily. 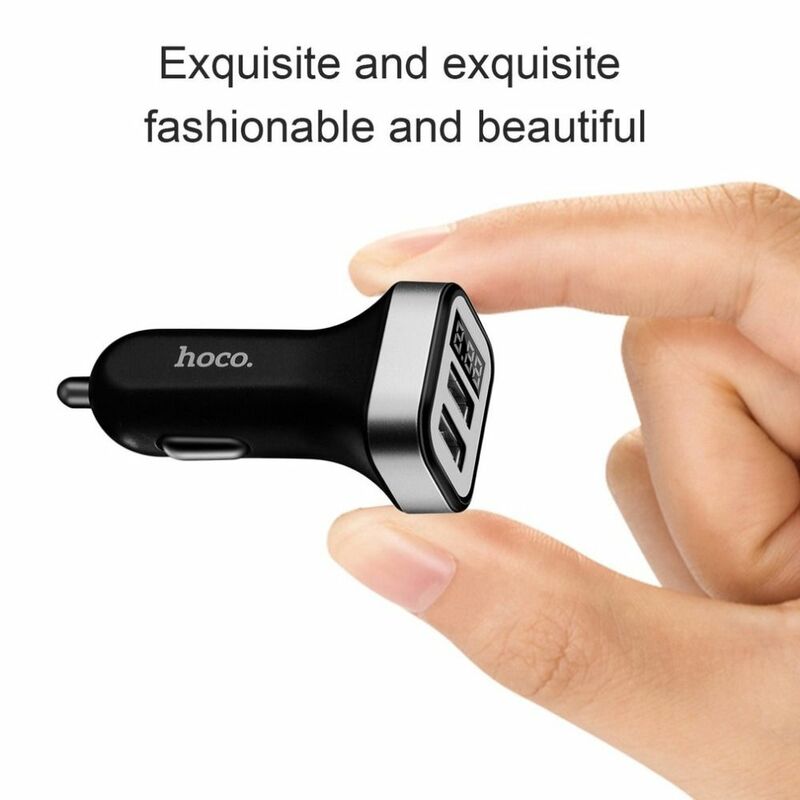 Its small size makes this car charger does not take up much space when in use. 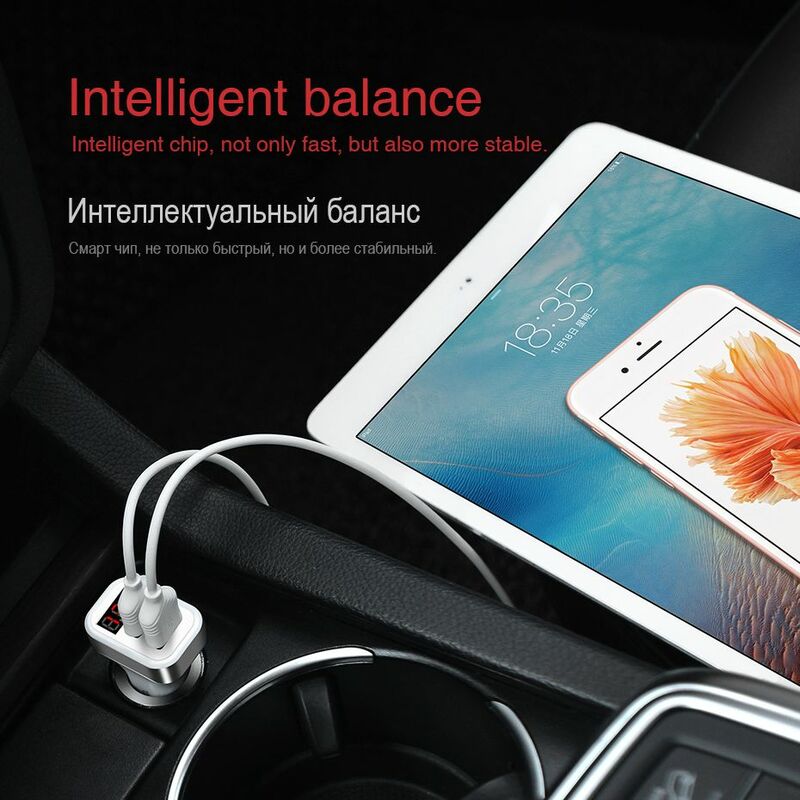 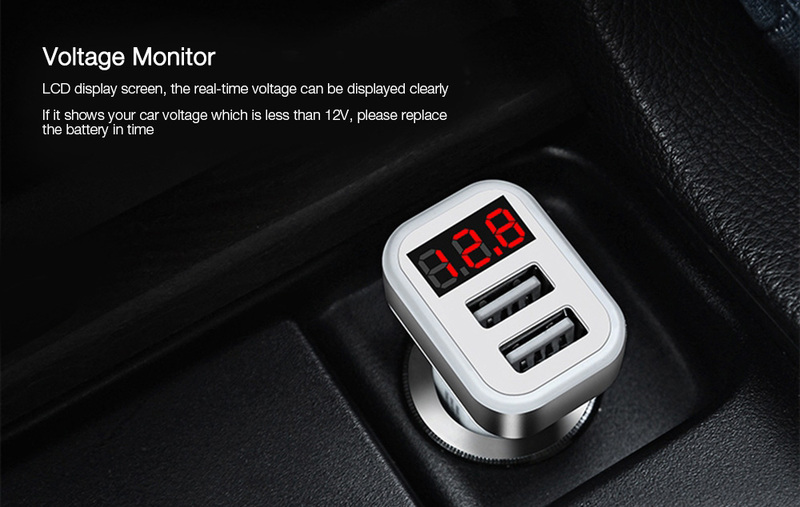 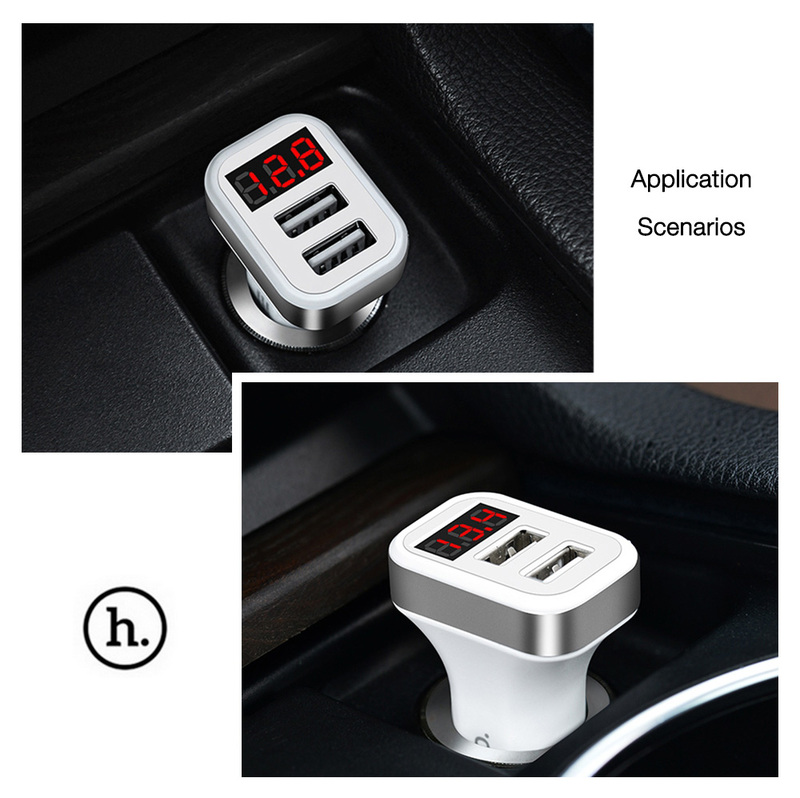 Car charger and voltage monitor 2 in 1 design, everything is for your safe driving. 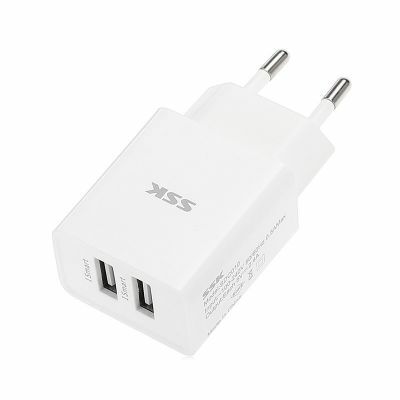 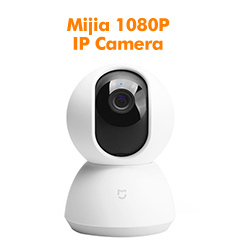 It supports 5V 3.1A output, high power conversion rate and extreme charging speed. 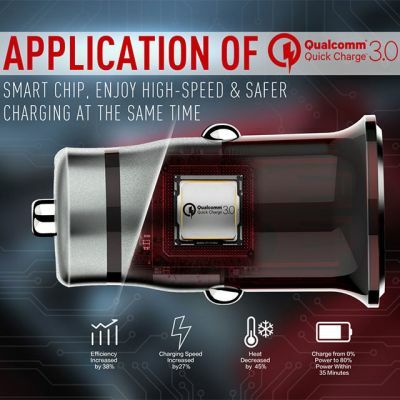 The chip inside will automatically identify the discharging current according to your charging devices. 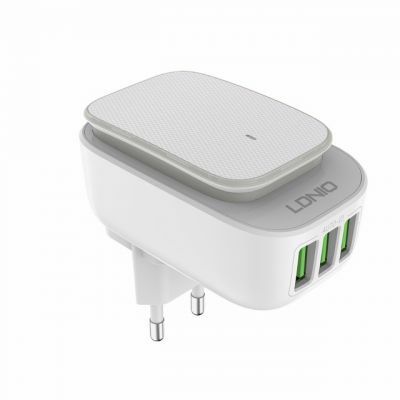 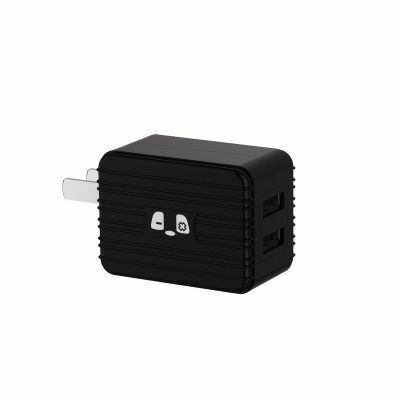 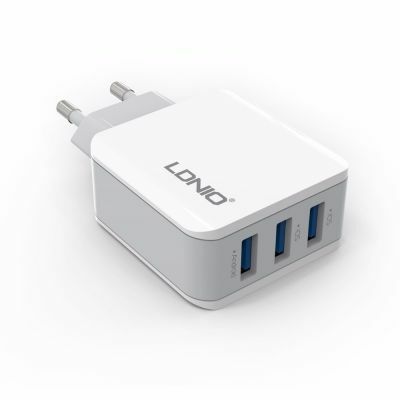 Dual outputs, you can charge phones, pads or other small electronic devices simultaneously. 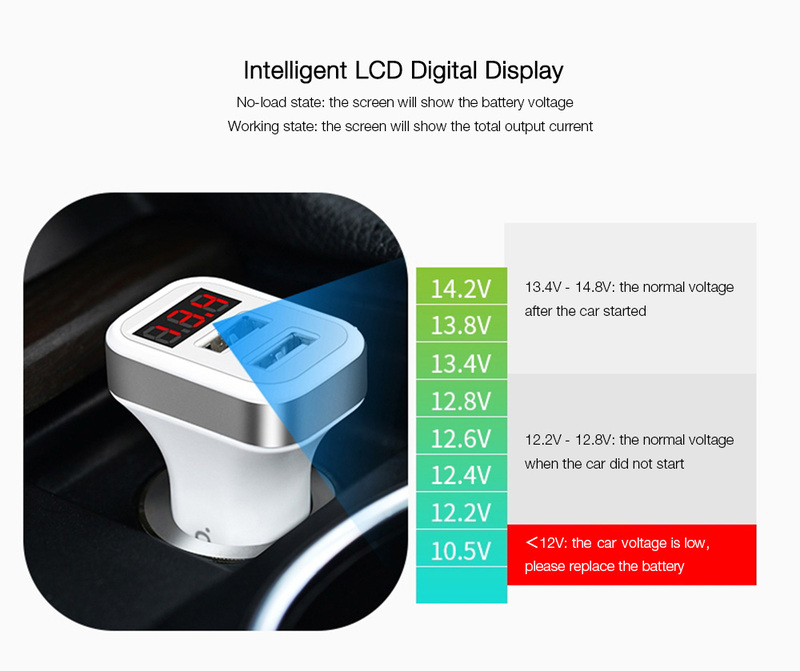 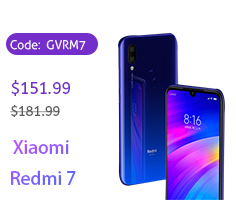 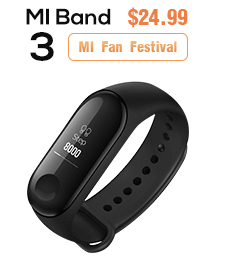 No-load state: the screen will show the battery voltage. 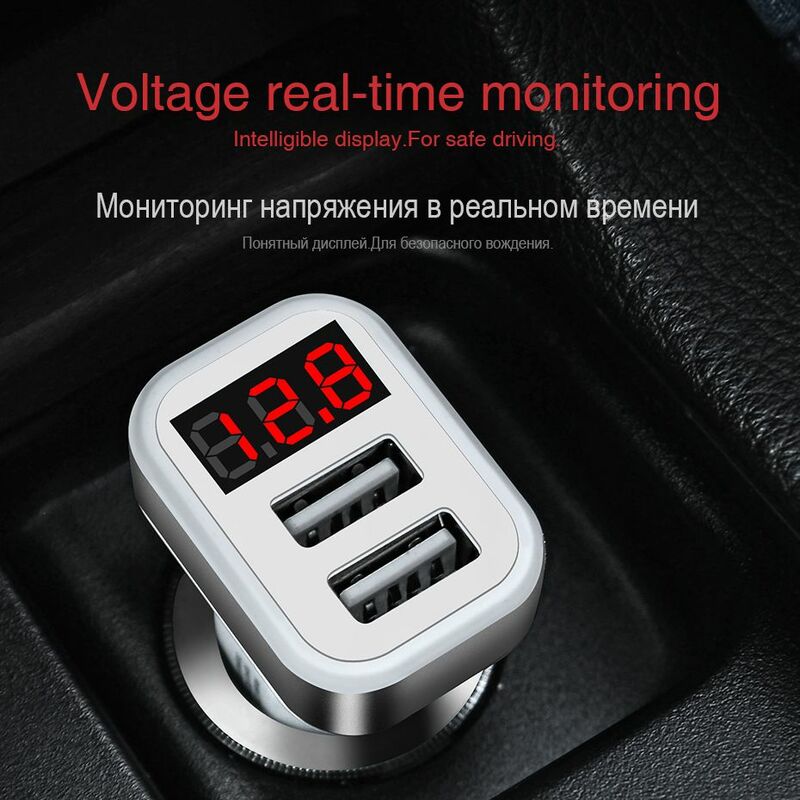 Working state: the screen will show the total output current. 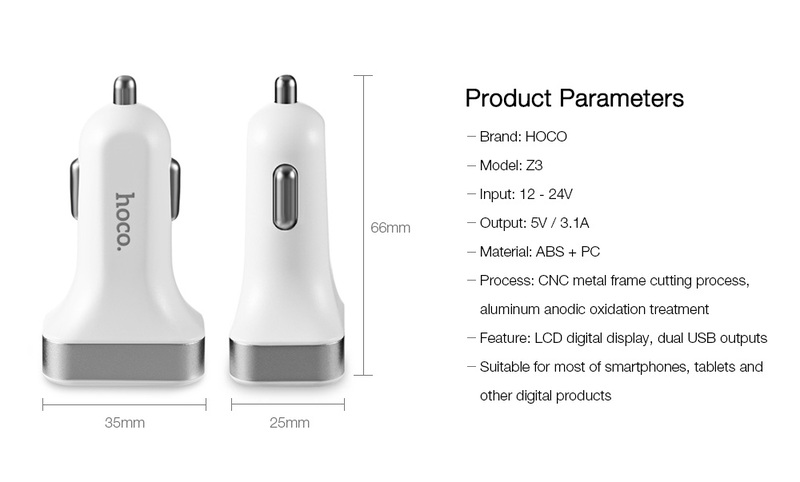 LCD display screen, the real-time voltage can be displayed clearly. 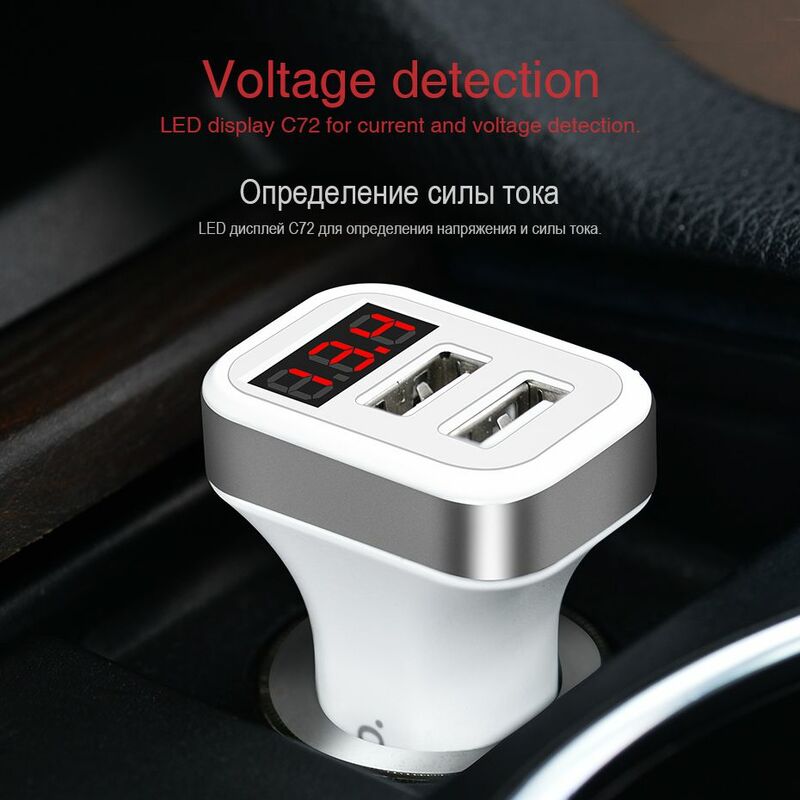 If it shows your car voltage which is less than 12V, please replace the battery in time. 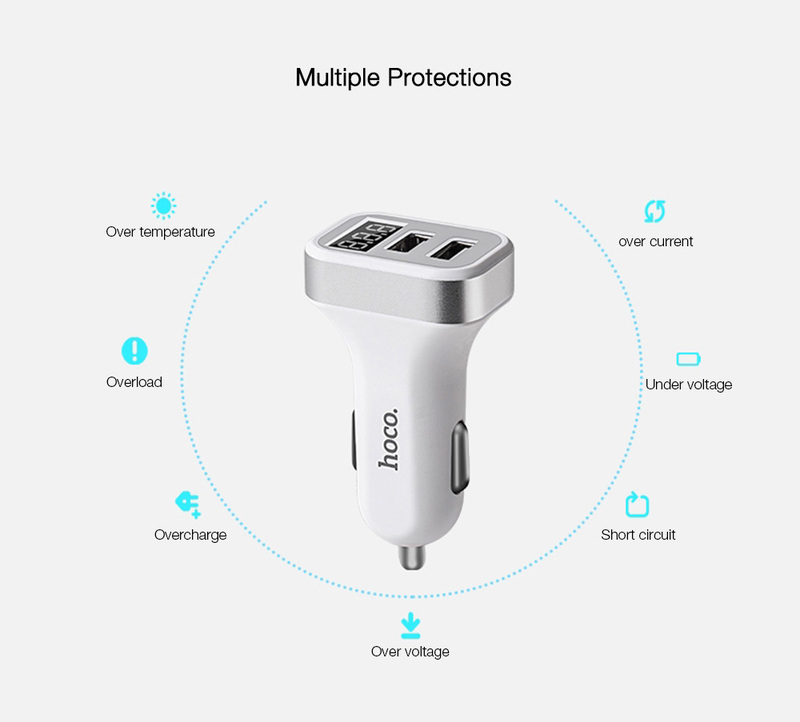 Made of ABS and PC fireproof materials with CNC metal frame cutting process, aluminum anodic oxidation treatment, drop-resistant and corrosion-resistant. 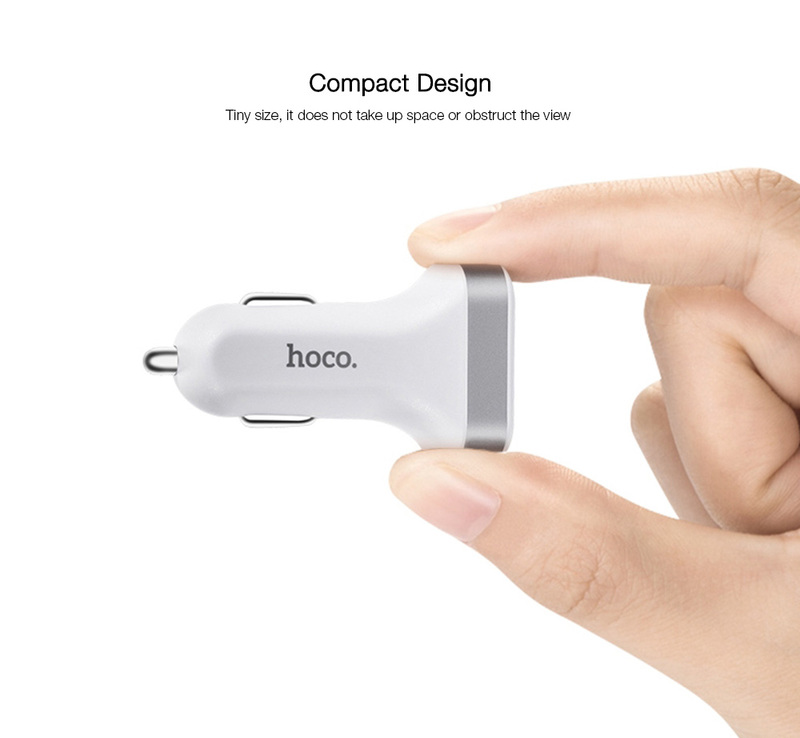 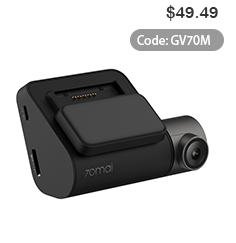 Tiny size, it does not take up space or obstruct the view. 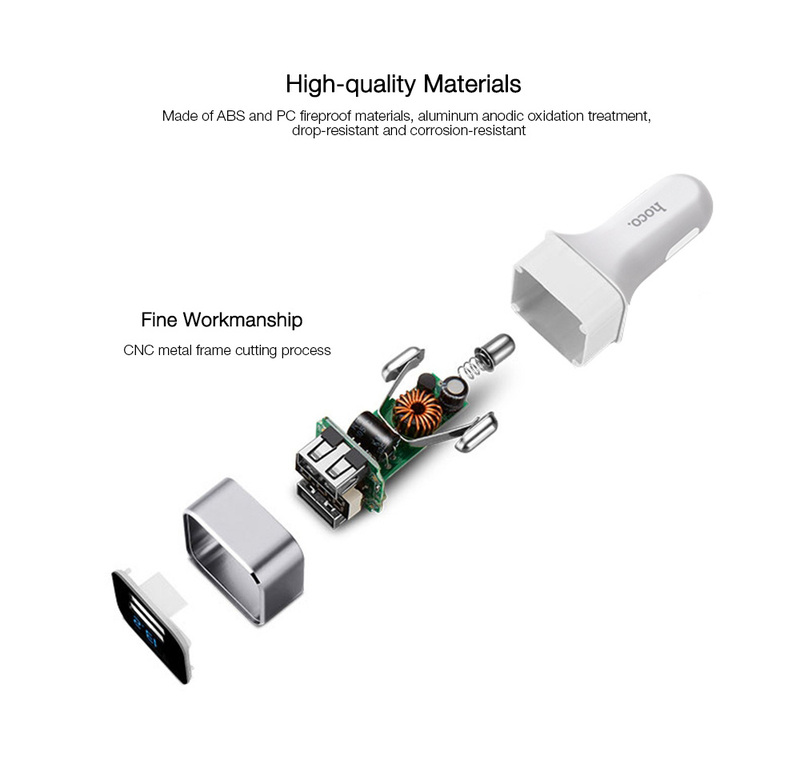 Over temperature, overload, overcharge, over voltage, over current, under voltage and short circuit protections. 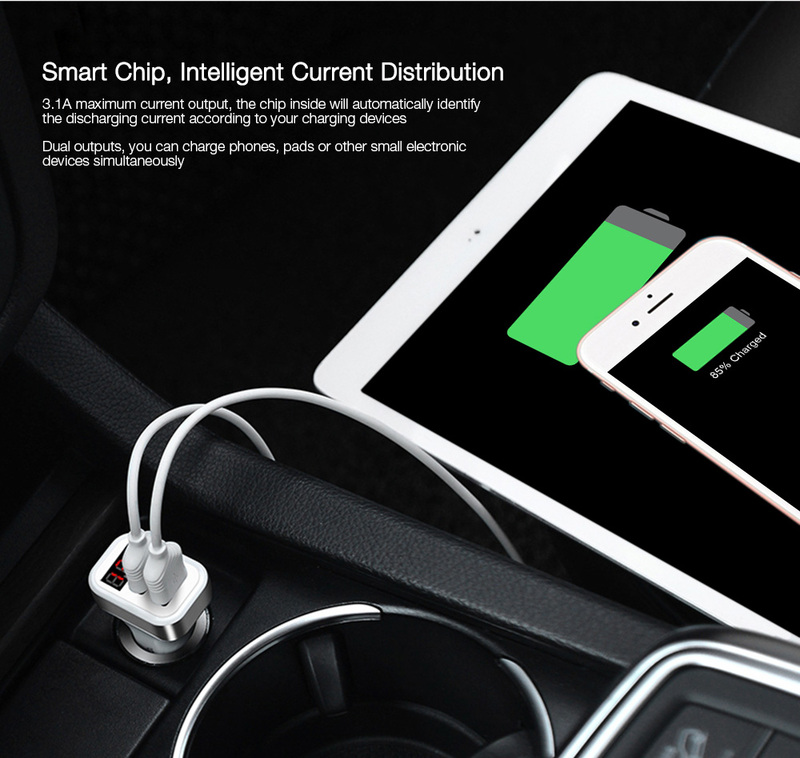 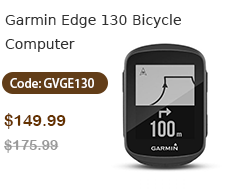 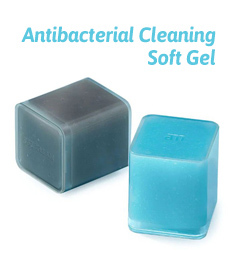 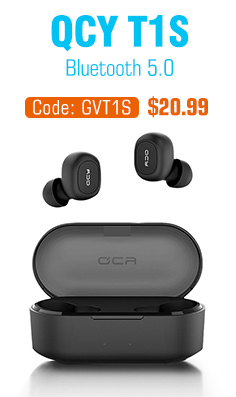 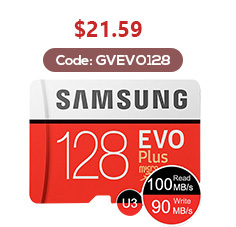 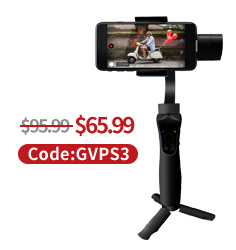 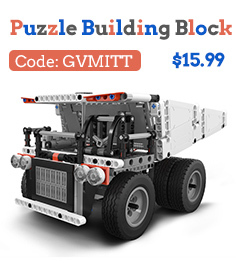 Suitable for most of smartphones, tablets and other digital products.